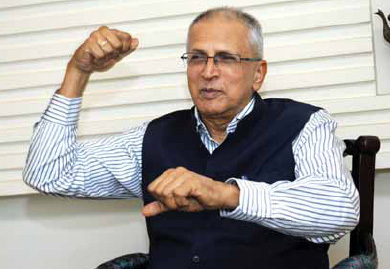 WHEN Gopal Krishna Pillai (67) joined as Sub Collector in Kollam (then Quilon) in July 1974, his first job after passing out from Lal Bahadur Shastri National Academy of Admini-stration (LBSNAA), the Indian Administrative Service (IAS) hardly offered a decent lifestyle. Pillai drove to office on his brother’s scooter and lost his first half’s salary because there was a long queue of officers joining that day and his turn came only in the afternoon. For the first two years, he and his wife, Sudha, also a 1972 Kerala cadre IAS, lived from hand-to-mouth. His salary worked out to a meagre Rs. 500 per month and since the couple already had their son Sujit by then, half of his salary would be spent on buying milk for the baby. “By 27th of the month nothing would be left in the pocket and I had to borrow money from friends. I once borrowed Rs. 100 from a petrol pump employee. My peon would often ride pillion on my Lambretta scooter. The Civil Services became comfortable only after the 5th Pay Commission (1982),” Pillai, who retired as Union Home Secretary on June 30, 2011, recalls. Yet Civil Services came naturally to him. His grandfather, Rama Krishna Pillai, was Land Revenue Commissioner while father, VK Balakrishna Pillai, was a Bihar Cadre Indian Civil Service (ICS) officer. He did his schooling up to the 6th standard from St Columbus in Delhi as his father was then posted as Secretary (Health) in the central government. After his father hung his boots, he put him and his elder brother Ramakrishna in boarding in Bishop Cotton, Bangalore. He mastered Chemistry from St Joseph College and enrolled in IIT Madras. But even after doing IIT, he felt administration and governance were his ‘calling’. On July 15, 1972, when he joined LBSNAA as a probationer, he never imagined that besides training him in governance, the academy would also give him his life partner. He and Sudha (Khanna then) married in 1973 when they were still in the academy. Since it was an inter-State and inter-caste marriage—he came from an elite caste of landlords and she from a Punjabi family—Sudha’s father, Rattan Lal Khanna, came to see him in the academy. The marriage took place in Dehradun. “I travelled to Delhi to take my two sisters and brother as part of baraat to Dehradun. The marriage was a three-day affair. After that we went back to our studies,” Pillai recollects, perched on a chair in his drawing room. From the Academy, only one of their batchmates, PK Shivanandan, attended the marriage. Later, LBSNAA Director, DD Sathe, hosted a tea party in celebration. Sudha Pillai, originally allotted Punjab cadre, got it changed to Kerala in 1974. 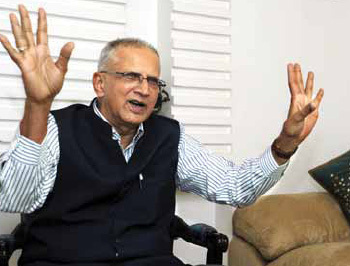 GK Pillai attributes his idealistic approach (he never bought a share of any company and, despite being Principal Secretary to Kerala Chief Minister AK Antony, he flew to Delhi on personal expenses for his daughter Malavika’s marriage in 2001) to Bukkapuram Nadella Yugandhar, who headed the academy during his training. Yugandhar (father of Microsoft’s Satya Nadella) always told them to focus on poor. “He would always say, look after the poorest of the poor. The rest can manage. He came from naxalites’ area of Andhra Pradesh. Our batch was under his influence,” he reminisces, calling his batch ‘Yugandhar’s batch’. HE says his decision not to buy any company’s shares helped him decide on issues fairly in his about 37-year-long career. At the same time, it taught him to be innovative. 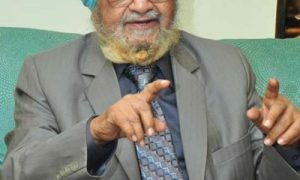 During his stint as a Special Officer for Cashew Industry (1975-78), he invented a new method to make sure that cashew businessmen paid minimum wages to their workers after Industry Minister TV Thomas got him made Sub Divisional Magistrate for the entire State. “Two cashew magnates would not pay the minimum wages and fraudulently obtain workers’ signatures. I got 4-5 accounts managers detained for this. The others got the message,” he remembers with a smile. 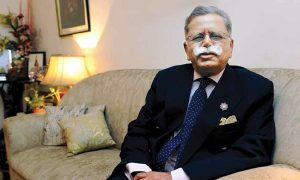 When he was Deputy Secretary in the Defence Ministry (1981-82), he saved millions of pounds for the Indian government. It was sometime in 1981 when a chance encounter with a file helped him realise that the British Aerospace was charging more from the Indian Air Force for the same part it was also supplying to Hindustan Aeronautics Limited (HAL). “I would take lunch in a colleague’s room. One day I noticed a paper in his room which said that British Aerospace sold the same part to the HAL at 11 per cent less price. I got a photocopy of the paper from the colleague and deducted 11 per cent of the price in all my papers,” he recalls. After the British Aerospace took up the matter with the then Defence Secretary PK Kaul, a delegation headed by Pillai was sent to Britain to renegotiate the price. Pillai is sure this was a rarity when a foreign government had to cut the price after signing a contract. During his 4-year long stint in the Defence Ministry, the ministry negotiated for the purchase of Jaguar aircraft, Mig-23, Mig-25, Mig-27, AN-32 and Mirage 2000 aircraft. WHEN he was the District Collector of Kollam in 1983, his novel idea saved the day for Kerala Chief Minister K Karunakaran. It so happened that bonus could not be paid to cashew workers before the treasury closed for Onam holidays. Fearing the ire of workers in elections, Karunakaran called him for an emergency meeting. “I went back to the collectorate, handed over 1,300 signed blank sheets to my officers and told them to collect the amount from businessmen in the city. In two days, we collected and distributed the entire amount. The businessmen were paid back after the treasury reopened after holidays,” he recalls. Pillai attributes the success of his illegal but practical idea to the trust between the collectorate and the city businessmen. “It became possible because the collectorate gave a word. They trusted us and we trusted them,” he claims. In subsequent years, he served as Special Secretary (Industries), Secretary (Health) in the Kerala Government and Director (Shipping) / Joint Secretary (Transport) at the Centre. I had one and thus was appointed JS (NE),” he recollects. The JS (NE) had to be part of Prime Minister Inder Kumar Gujral’s team on a visit to Bangladesh. The five-year stint as JS (NE) gave him an opportunity to learn about the tribal culture. He read 65 books on Nagaland tribes alone. This acquainted him with how one should behave with tribals. “If you talk to tribal people there, you should never interrupt them. Speak only after they have finished. Listening is the key aspect of governance there,” he informs. Pillai accompanied HD Deve Gowda when the latter became first Indian PM to visit all North-East States in one go. Once there, Gowda decided to announce a package for the States and he had to make eleventh hour preparations for it. In 2001, after AK Antony became Chief Minister of Kerala, he got him repatriated to the State as his Principal Secretary. He spent three years there. Between 2004 and 2009, he was Additional Secretary and Special Secretary in the Union Commerce Ministry. He had a major role in bringing Nokia’s manufacturing units to India. It was a decision taken within hours. It so happened that SEZ (Special Economic Zone) Board was meeting in the ministry. There were 18 ministries in the board. When the meeting was still on, Nokia representatives turned up and sought time for making a presentation before the board. By 2 pm on the same day after the presentation, an in-principle approval was given to Nokia to set up manufacturing units. “The government can be very reactive. 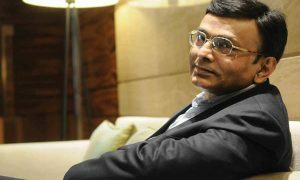 Within 28 weeks, Nokia started manufacturing mobiles at its first unit and 62 per cent of its mobiles were consumed in India,” he remembers. The time taken by India in allowing Nokia to manufacture was even less than what China took in doing the same. On June 30, 2009, Pillai was appointed Union Home Secretary. Since this happened in the aftermath of 26/11 Mumbai terror attack and replacement of Home Minister Shivraj Patil with P Chidambaram, all eyes were on the Home Ministry. The team of Chidambaram and Pillai gave the final shape to Multi Agency Centre (MAC) NATGRID (National Intelligence Grid) and National Investigative Agency (NIA) and floated National Counter Terrorism Centre (NCTC) and Crime and Criminal Tracking Network System (CCTNS). The duo also worked on modernisation of para-militaries and coastal security. Pillai emphasised on proper recruitment and training of policemen for reforms in the police. He lauds Chidambaram for going through files minutely, a trait which he finds missing in majority of politicians. “Don’t write to politicians. Put it in their ear. That will stay,” he remembers having been told by a political boss once. AT the same time, he faults Chidambaram for being economical with truth on the second affidavit in Ishrat Jahan case. “He dictated the affidavit and edited it. The letter where HM’s approval is there and the original affidavits are missing,” he says. The first affidavit called Jahan and her accomplices terrorists while the second said there was no conclusive evidence to prove that she was a terrorist. The two affidavits were filed in the Gujarat High Court in August and September 2009, respectively. Pillai claims he did not angle for a post-retirement job because that can “impinge on your integrity”. He is strictly against mindless downsizing in the government. After a visit to the Agriculture University in 2008, he made sure that the downsizing does not apply to technical posts. “In the US judiciary, you have 10 times more staff than India. Its government has three times more strength than India,” he points out.